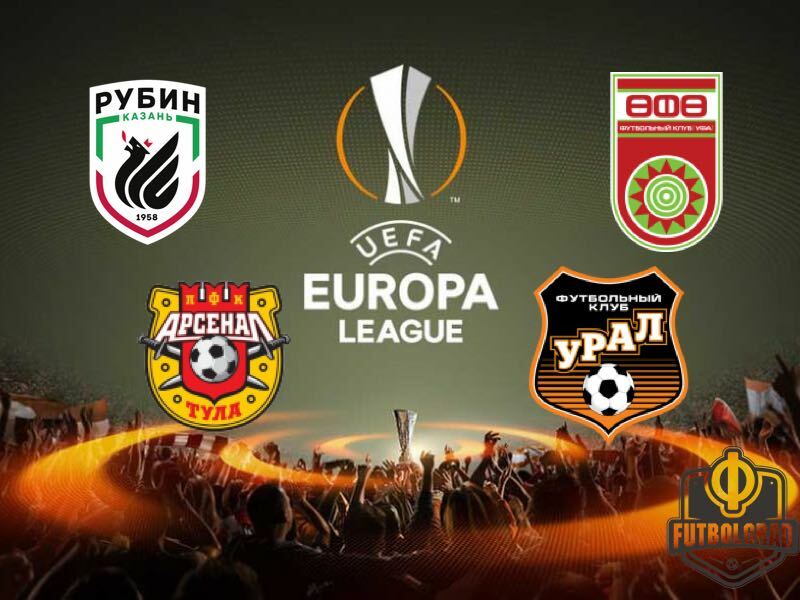 Ufa, Arsenal Tula, Rubin and Ural – Who will be Russia’s surprise candidate for Europe? With the top five all wrapped up at the top of the table in the Russian Football Premier League, the race for Europe seems all but over. That could change, however, should Spartak Moscow win the Russian Cup – the Myaso face Tosno in the semifinal and would face Avangard Kursk or Shinnik Yaroslavl in the final. In that event, the race for the sixth spot, which includes Ufa, Arsenal Tula, Rubin Kazan and Ural would become an exciting proposition. Until two years ago the European spot would go to the team defeated in the final should the Cup winner have already qualified for Europe via the league. But a change to Europa League rules means that now only the cup winners are directly qualified and that a country’s Europa League spot would fall back to the league should the cup winner have already qualified. That could very well be the case this season. RFPL teams failed to take the competition seriously this year, and as a result of only two RFPL teams, Spartak and Tosno managed to reach the semifinal – in fact, just three RFPL teams were left in the quarterfinals with Amkar Perm completing the trio of RFPL clubs. Spartak are now the likeliest team to win the competition facing first relegation candidate Tosno and then a side from the Russian Football National League (second division) in the final. With Spartak having squandered their chance to win the Russian championship it is also expected that head coach Massimo Carrera will take the competition seriously to present some silverware to owner Leonid Fedun at the end of the season. That would open the door to Ufa, Arsenal Tula, Rubin Kazan and Ural. Of those four clubs, only Rubin Kazan have extensive experience of playing in Europe. Ufa, Arsenal Tula and Ural in the meantime have no previous experience of playing in Europe. Hence, for those three reaching European football would be a watershed moment. Although all three clubs are in one way or another owned by government agencies, the three teams have been a relative source of stability in a league that sees many clubs beyond the top five struggling financially. Ufa, for example, have played fascinating football in recent years. Coached by Viktor Goncharenko until the winter of 2016 Ufa revolutionised the Russian game by playing consistently with a back three. That football revolution has continued under current head coach Sergei Semak. Sergei Semak’s football has been fun to watch, and the former Zenit player recently signed a new contract at the club despite being linked with the Zenit job. Playing a wide 3-5-2 Ufa are both aggressive and tactically astute – in some ways the club is the Eintracht Frankfurt of Russian football at the moment and has been the biggest surprise of the season. In pole position to hold down sixth place Ufa, who were the stepping stone for Manchester City’s Oleksandr Zinchenko, might be the most cultured of the four teams. 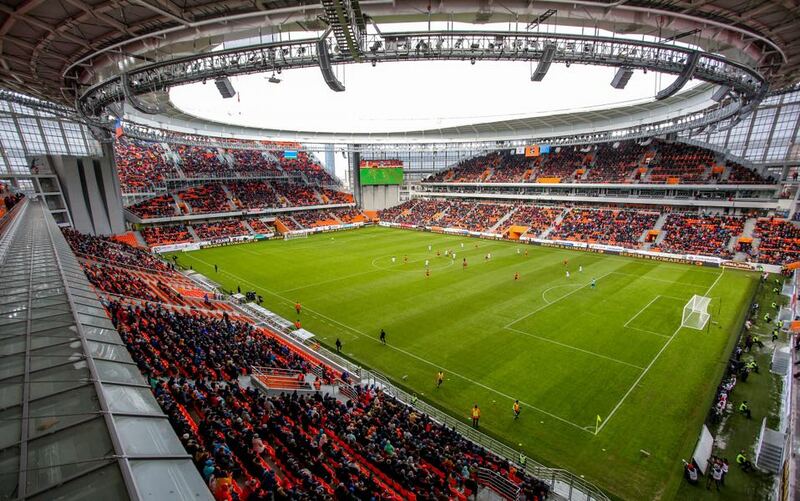 At the same time infrastructure issues could make it difficult for Ufa to play all their games at home at the Neftyanik Stadium should they qualify. Next up are Arsenal Tula, who have been recently described as one of the most boring sides in the league by Russia’s sport homepage Sports.ru. 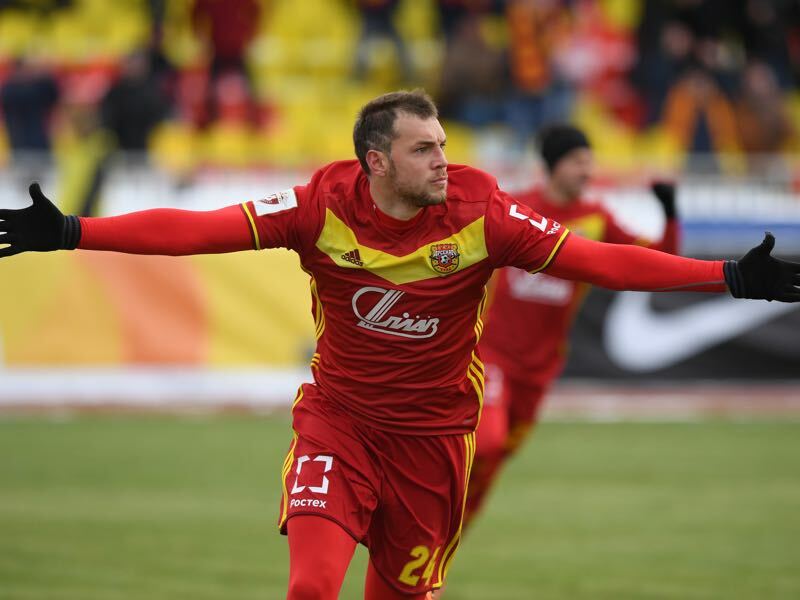 But Arsenal Tula have a big advantage – they got a man on the mission in striker Artem Dzyuba. Kicked out by Zenit and sent on loan to Tula Artem Dzyuba has been in the headlines for wanting to pay Arsenal’s fine for playing him against Zenit when the two teams meet on Sunday, April 22. With four goals in six matches, Dzyuba has been on fire and while his side now relies on giving the ball to the big man up front that strategy might be enough to send Arsenal Tula to Europe. Europe is a place that Rubin Kazan know very well. The club from Tatarstan have a rich European history and famously beat Barcelona at the Camp Nou in 2009. The architect of that success, head coach Kurban Berdyev, is now back at the club and after a rocky start has Rubin shooting up the table. With a brand-new stadium and history of playing in Europe Rubin would be the best club to represent Russia. But Rubin also have a history of chaos as well as instability, and it would not be beyond them to deflate at just the wrong time. Another team with a new stadium are Ural. The team from the geographic border to Asia have recently moved into the new World Cup stadium, which was in the news for its unorthodox architecture, and would, therefore, have the facility to play in Europe. Outside of Rubin, in fact, Ural might be the readiest to make the jump to Europe thanks to the new stadium. On the field, they are ready as well, as their surprise victory over Spartak Moscow on the weekend highlighted. The result ended all hopes for the Myaso to defend their Russian championship this season and showed that Ural are capable of playing at a European level. That defeat, in fact, may have given Spartak the impetus to do well in the cup. The league is lost, and the Cup is now the only silverware. Indirectly, Ural may have cleared their path to Europa League glory.